Fulham in the South West of London is an affluent area within close reach of Chelsea and Kensington. Our customer in Fulham SW6 contacted our shutter shop for information about window coverings, how they worked etc and wanted a brochure to show some images of our window shutters and the styles they can be manufactured in. The building styles vary dramatically throughout the area which means so many different styles of windows which can have shutters on them. Here at Shutterly Fabulous, although we don’t have a shutter shop in Fulham itself, we are a shutter company who install in Fulham, south west London and the surrounding areas. Concerned about how much light is let in by the shutters, our customer contacted us for advice about slat sizes and general information about how to make sure they got what they wanted out of their window coverings. 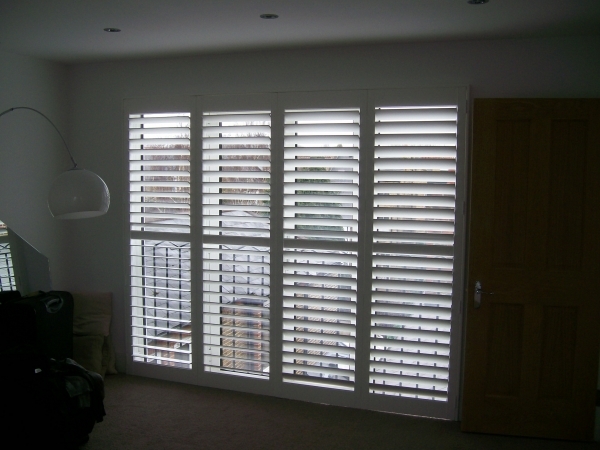 The Shutterly Fabulous shutter shop has an expert team, consisting of the office team, consultants, installation teams and an aftercare service. Getting the correct window shutters for your windows is the topmost priority of our shutter company. The team was able to advise our customer that in order to let lots of light in, they should discuss with the consultant on the consultation visit, larger slats. The larger the slats you have in a shutter set, the larger the space between them, therefore when the shutter slats are wide open lots of light will come in between them. In order to help with privacy and help with reducing the light when the slats and panels are closed, the Shutterly Fabulous office team explained about side rails.